Gerard Brennan's short stories have appeared in three volumes of The Mammoth Book of Best British Crime and Belfast Noir. He co-edited Requiems for the Departed, an award-winning collection of crime fiction based on Irish myths. His novella The Point (2011) won a Spinetingler Award. It was followed by his novels Wee Rockets (2012) and Fireproof (2012). 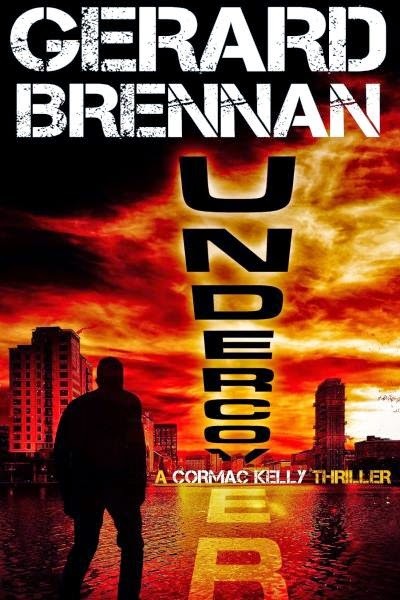 Undercover (2014) is a Belfast cop thriller that introduces PSNI detective Cormac Kelly. The undercover cop infiltrates a ruthless gang bent on kidnapping and extortion, but is forced to break cover and shoot his way out of a hostage situation gone bad. Brennan graduated from the MA in creative writing at Queen's University Belfast in 2012 and is currently working on a PhD.